PALM SPRINGS, CA – You can still find some great last minute bargains on fabulous Palm Springs Vacation Homes to rent for Christmas! Acme House Company – just released their Annual Super Saver Deals on about a dozen luxury pool homes and condos that can be rented for the holidays. Rent Prices are as low as $209 per night. 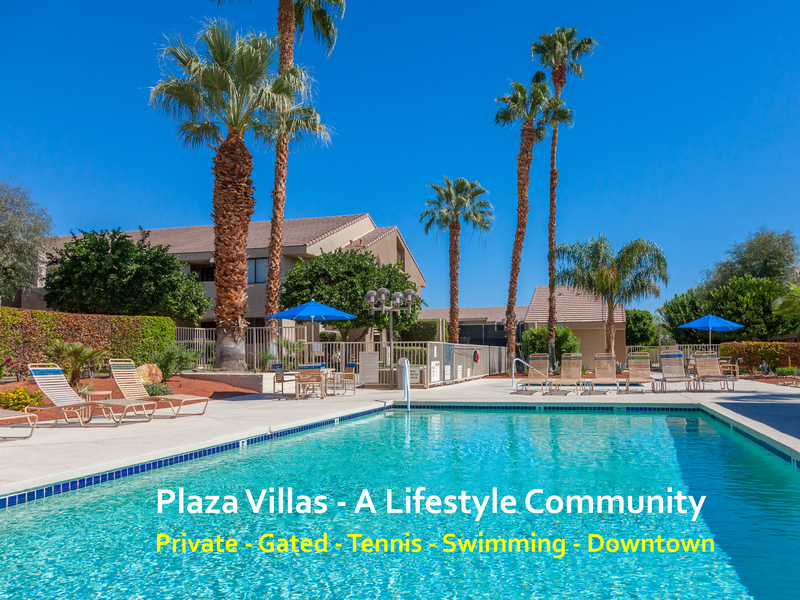 Double Down Hideaway at Plaza Villas – Fabulous Condo in the heart of Downtown Palm Springs – right across the street from The Spa Casino and the Convention Center. Just three short blocks from the world famous Palm Canyon Drive as it cuts through bustling Downtown. You get a lot for your money at Plaza Villas. This gated lifestyle community features two huge swimming pools, spa, tennis court, covered parking and beautifully maintained gardens. Double Down Hideaway is available for Christmas with a 7 Night minimum. Super Saver Price from just $341 per night. Wexler Fishbowl- 3 Bedrooms / 2 Baths / Sleeps 6 Wexler Fishbowl – Have yourself a Mid Mod Christmas by checking into this fab fab 1950s pool home. Gorgeous in its simplicity, as architect Donald Wexler intended, our Wexler Fishbowl at Sunmor Estates is a fabulous Palm Springs vacation home rental with clean lines, an open concept floor plan and spectacular walls of glass that blur the lines between indoor and outdoor living. The pool yard is super private and guests love that this was the original model home when the Sunmor community was first offered for sale back in the 1950s. Available for Christmas. Priced from just $549 per night. Mid Mod Sunsation– Stunning 1950s executive home in the middle of Palm Springs. This spacious vacation rental has been totally updated for the way we live today. Gorgeous new kitchen, deluxe baths, high-speed internet, open concept floor plan, comfortable Mid Mod-inspired furnishings, and a fabulous pool yard with mountain views. Available for Christmas priced from just $549 per night. Sun Haven Escape– Absolutely stunning designer home. 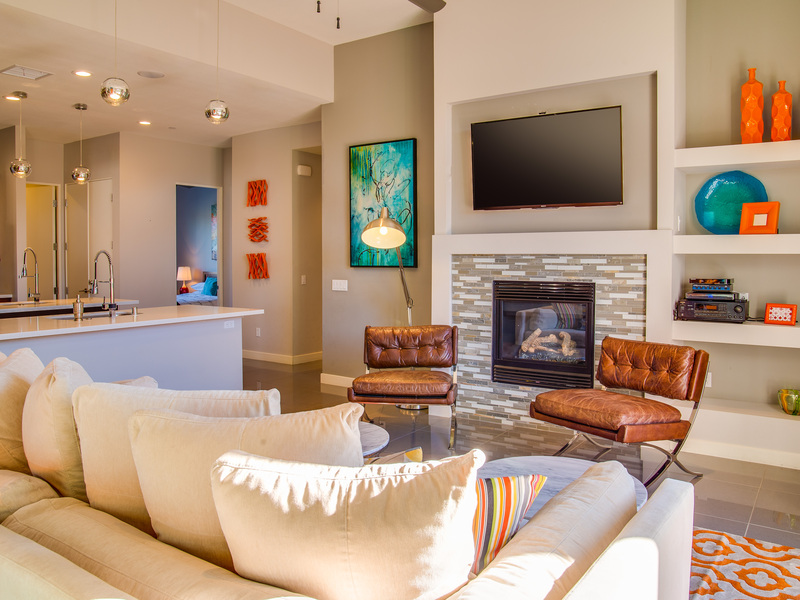 Sun Haven Escape is the perfect Palm Springs Vacation Home Rental for the holidays. 4 Bedroom, 3 Bath, Sleeps 8. Located just 2.1 miles from the world famous Palm Canyon Drive. All large rooms that have been professionally designed to capture that hip Palm Springs vibe. Very private west facing backyard with heated inground pool, integrated waterfall spa, covered dining pavilion and magical mountain views. This property is gorgeous inside and out! Available for Christmas priced from just $499 per night. Franky’s Hideaway- 4 Bedrooms/ 2 Baths / Sleeps 8 – Franky’s Hideaway – Just featured in this month’s California Homes Magazine – Franky’s Hideaway is the ideal Palm Springs Vacation Rental for those looking for a value packed – super nice Midcentury Modern Home for the holidays. Very private pool yard with an amazing firepit. We love this house and so do our guests. Available for Christmas at just $499 per night! Bella Musica – You’ll be on top of the world this Christmas! Gorgeous and stately hilltop compound that has been completely walled and gated for privacy. Absolutely stunning valley and mountain views. All four sleeping quarters have private en suite baths. Secluded resort-style yard with free-form pool, spa, outdoor fireplace, putting green, al fresco dining and cook area with grill. Less than a half mile stroll to the world famous Palm Canyon Drive. This is a very special Palm Springs Vacation Home where it is all about easy living in the sunshine. Available for Christmas at just $989 per night. Siesta Villa – Walk to Palm Canyon Drive from this lovely condo that sits in a unique, quiet and historical area known as Old Las Palmas. Rich history of movie stars and fabulous view of Mt. San Jacinto. This is a very special Palm Springs Vacation Home where it is all about easy living in the sunshine. Available for Christmas at just $209 per night. There’s still time to rent a beautiful Luxury Home in Palm Springs for Christmas. How about a girl’s weekend? Why not rent a luxury vacation home managed by Acme House Company with your friends and go shopping at the outlets then come back to the house and lay around the pool with cocktails. It’s the perfect way to start the hectic holiday season. Did you know the Desert Premium Outlets are only 20 minutes away from beautiful Palm Springs? In fact you can stop at The Outlets on your way into town!